Have you been on the hunt for used cars in Gettysburg PA? If so, you might be feeling frustrated and overwhelmed with all of the options out there. With so many different car dealers in Gettysburg PA, it can be tough to determine which ones will offer the premier car shopping experience. Whether you’re an experienced car buyer or a new driver shopping for your first ride, you’ll definitely want to consider a dealer that offers a broad selection of new and used cars for sale in PA. It’s important to remember that you’ll likely be driving your next car for quite some time, so don’t let yourself be limited by the subpar vehicle selections at some Gettysburg car dealers! You may be wondering where you can find a trustworthy car dealer near Gettysburg PA with a strong record for helping turn prospective car buyers into satisfied customers. Bob Ruth Ford is your one-stop shop for all things involving new and used Ford cars for sale near you! We know that you have many different options to consider when deciding where to buy your next vehicle. That’s why we’ve made it our task to be the best answer to all of your car purchasing needs. Why buy from Bob Ruth Ford? For starters, we offer an impressive array of new, used and certified pre-owned cars, trucks and SUVs. From affordable compact cars to fully loaded family SUVs, we carry vehicles to suit all sorts of driving needs. The care you receive at the dealership can make all the difference in how enjoyable your shopping experience is. At Bob Ruth Ford, we feature a team of friendly auto experts who are eager to help you find a car that will meet and exceed your expectations. You’ll be treated like family from the moment you step through our doors, with attentive service and a low-pressure shopping environment. Find the deal you deserve on a car you’ll love to drive for years to come, at Bob Ruth Ford! In today’s car market, there are more options to consider than ever before. This leaves some buyers wondering which car company to trust with their driving needs. If you’re on the hunt for a dependable American made vehicle that’s built to last, there’s just no competing with a Ford car, truck or SUV. Ford is one of the most established names in American automotives, and they’ve earned their place for a reason! With a wide variety of top-notch vehicles in all sorts of styles and configurations, there’s a Ford out there for every type of PA driver. Maybe you’re in the market for a powerful work truck that can chew through your most demanding days on the job. If that’s the case, a Ford F-150 pickup truck might be just the vehicle you need. These trucks are an American classic, and they’ve only gotten more impressive year after year! Robust 6 and 8 cylinder engines give the F-150 plenty of horsepower to handle all manner of demanding tasks. Whether your regular driving needs involve hauling equipment in your truck bed or towing your trailer with an included tow package, the Ford F-150 can handle it all and more. Looking for a family vehicle with plenty of interior room to spare? The Ford Explorer is one of the top-selling SUVs in the nation! This beautiful family vehicle earns a 5 star overall NCAP safety rating, so it will help get you and the ones you love safely to all of your PA destinations. With third row seats, there’s seating space for the whole family to come along! 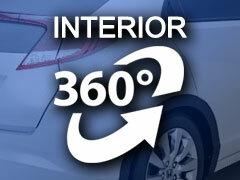 Premium features like leather seats and a cold weather package will keep all of your passengers nice and comfortable. Find the right Ford SUV for you at Bob Ruth Ford! If you’re shopping on a set budget, you might consider buying a quality used vehicle from your local Gettysburg car dealer. Buying pre-owned is a great way to save considerably while still getting a top-notch vehicle that’s packed with all the features you want. Where can you find a fantastic inventory of used cars for sale in PA? Bob Ruth Ford, of course! We’ve searched all over PA to bring our customers an impressive stock of quality used vehicles to pick from. Our used inventory includes offerings from many of the hottest selling brands in the country. Finding used cars for sale near you has never been easier or more convenient! Using the latest technology, we’re able to do extensive market research in order to price our cars to be the most competitive around. You’ll have a hard time finding used car dealers in Gettysburg PA who can keep up with our low prices! Whether you need cheap used cars or fully featured pre-owned Ford vehicles, you’ll find plenty of outstanding options when you shop with Bob Ruth Ford.